CBAC Forecaster's Blog: The New Year storm....already historic and still counting! The New Year storm....already historic and still counting! Since January 1st, the Gunnison Valley has been in the bullseye for heavy moisture streaming in from the Pacific. CBMR recorded 47" last week and 30" this week as of Tuesday morning. Irwin has recorded 87" out of this storm. We usually hear from billy barr by 7 a.m. for Gothic reports, but we're getting radio silence this morning, so I'm assuming that he's given up on digging and has turned to his stack of movies and chocolate barrs. But Gothic was at 86" yesterday. Holy Cow! The first half of the storm came in pleasantly low density. On January 3rd, CBMR got 14" of 2% density snow. On the 4th, I came into the office to no snow, and by the time I left a few hours later, 10" had piled up, the kind that you clean your windshield with by blowing on it. On January 5th, Irwin got 20" of 5% snow, with steady 2"-3"/hour rates. The next major pulse on January 9th was just the opposite: warm and wet. 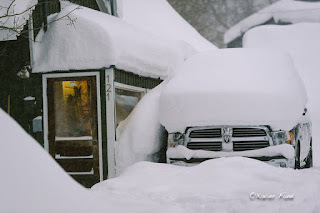 In a fantastic display of atmospheric absurdity, CBMR got 30" of dense snow. Schofield picked 3" of Snow Water Equivalent (SWE) in a mere 16 hours. (SWE is the water weight of the snow...multiply by about 12 or 15 to calculate how much snow fell for average conditions). It felt like I had just gotten out of the shower when I got back from the field to investigate a 3 foot slide that ran naturally across Kebler Pass Road. Trail breaking was miserable, wallowing through thigh deep, upside-down heavy snow. I'm sure countless people pulled out their backs shoveling. 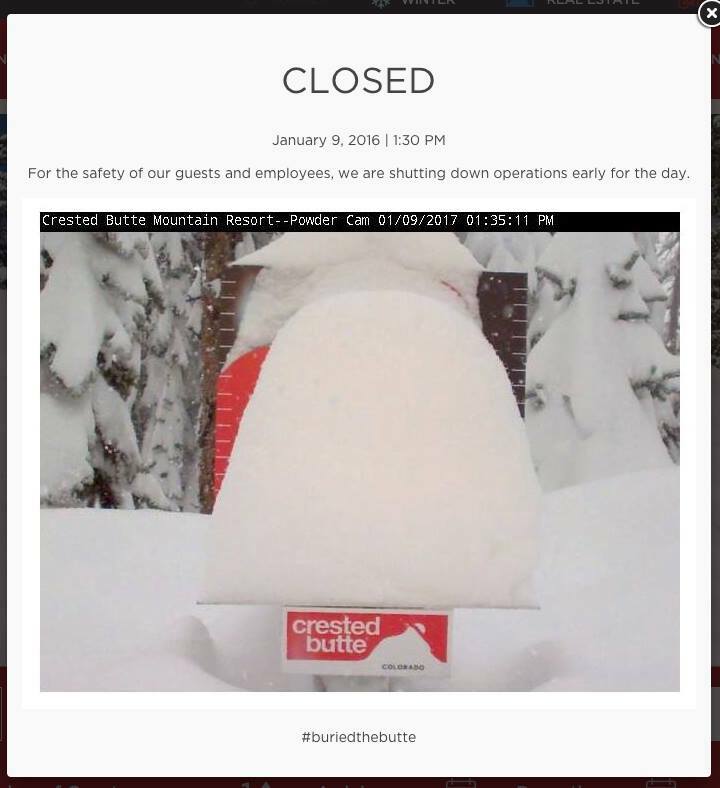 The Crested Butte Community School closed for the first time since 1970. CBMR closed early due to safety concerns. I counted at least two emails from billy barr that started with "It's a mess". With the rain line hovering near town, roof avalanches were ripping out right and left. Winds have been howling. Of course, we haven't had much in the way of visibility since then, and with few people traveling in the backcountry right now, observations have been limited. Two large slides ran across Kebler Pass Road, piling 8 feet of debris on the road. I caught just enough clearing to spot a slide that ran to ground near Red Ridge. A lot of the paths near town were still holding as of yesterday afternoon. Now to the weather stats. Schofield Pass SNOTEL has been operating since 1985. As of Tuesday morning, the site has picked up 10.5" of SWE since New Year's. This storm has surpassed all but one major storm in the past 32 years. We have another major pulse arriving Tuesday night into Wednesday and continued stormy weather into the weekend. This could push us beyond the historical 1986 storm, which reached 13.5" of SWE. Yowza!! 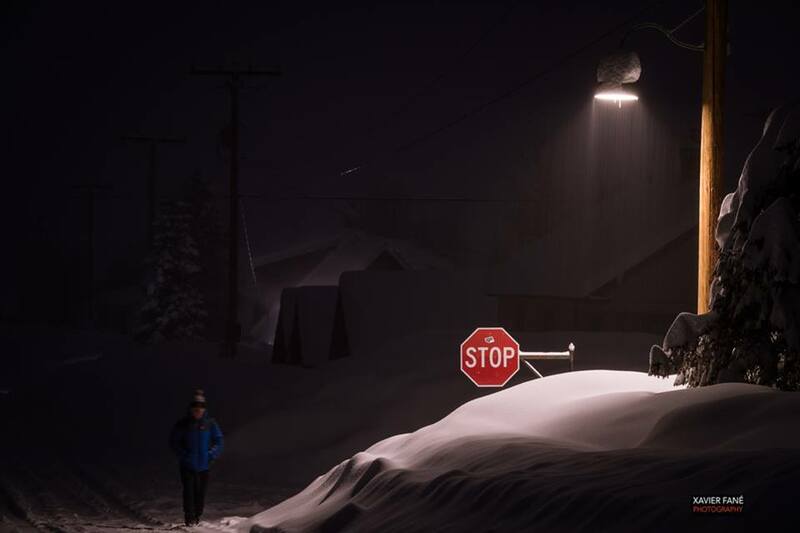 We have had avalanche warnings and high avalanche danger for 4 days of this storm. Tomorrow we trended to extreme danger, something I've never done in my 6 years here (We missed a day of extreme danger back in 2014). 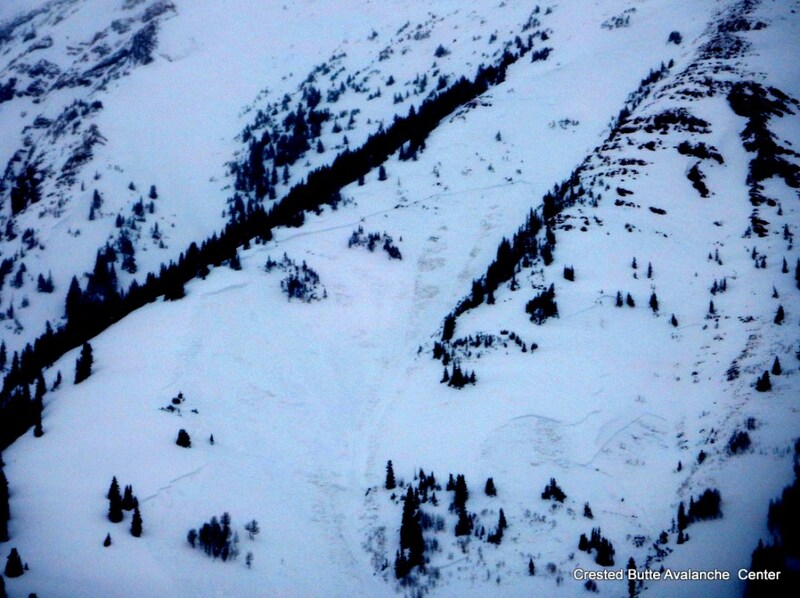 Extreme danger calls for a very unusual event: widespread natural avalanche activity D3 in size, with the potential for some natural avalanches D4 or greater in size. Avalanches will break trees and may include areas of mature timber. Avalanches will likely run full path through all elevation bands, thus we paint all elevations black. These types of events happen so rarely that they are incredibly tough for forecasters to predict. In the 5 storms shown above, all of them saw widespread natural activity, and with the exception of 2010, all of them saw long running avalanches to the valley. 2010 saw most avalanches run before they reached the volume capable of historic paths. This year, we don't have as pronounced of weak layers as in some years, but we're seeing an exceptional load that could break the camel's back: the volume is already there. We will see what data we have tomorrow and how the next pulse of snow and wind is shaping up. 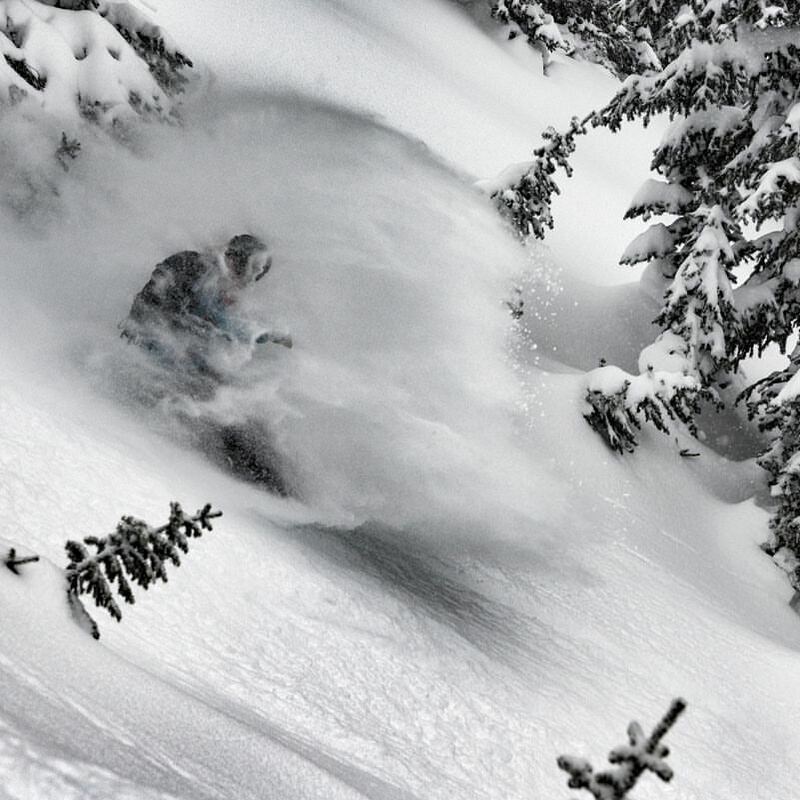 Either way, it is very dangerous in the backcountry right now. Regardless of whether we are at high or extreme tomorrow or the following days, our travel advice is pretty simple during an avalanche warning. 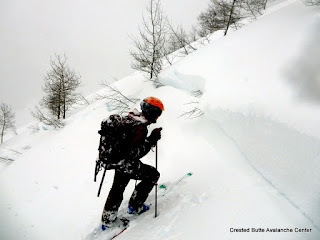 Just stay off of and out from under avalanche terrain: slopes steeper than about 30 degrees or low angle slopes connected to steeper terrain above. Most backcountry travelers know better than to jump into big alpine faces during this kind of storm, but it can be the sneaky or small avalanche paths that kill you. We are more worried about a shoveler getting buried in a roof avalanche, or a kid on the sledding hill, or a dog walker on Peanut Lake Road, or a commuter to Irwin during storms like this. Our snowpack is shaping up to be a deep and strong one this year, so let's give it its due time to recover from this historical storm, and then let's enjoy a great winter ahead! And be sure to thank your local ski patrollers for their tough and dangerous work to reduce the risk of avalanches at CBMR. 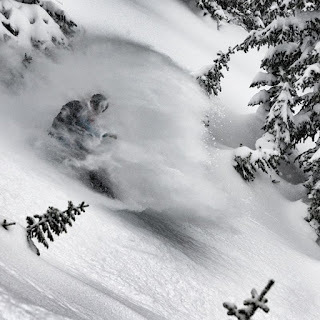 There have been two patrollers caught and carried in large slides this week. Those guys and gals hang it out there to get terrain open for you. Thanks for all you do CBAC! thank you for doing all the work and reporting such a huge anomaly! this is awesom huh? !